Aww you look so lovely! I love your belt. Such a pretty look! I adore the delicate lace and especially the detail of the layered necklaces. So dainty! You look gorgeous, I love your dress and the necklaces look lovely! Great outfit. Thank you for your comment on my blog, dear! 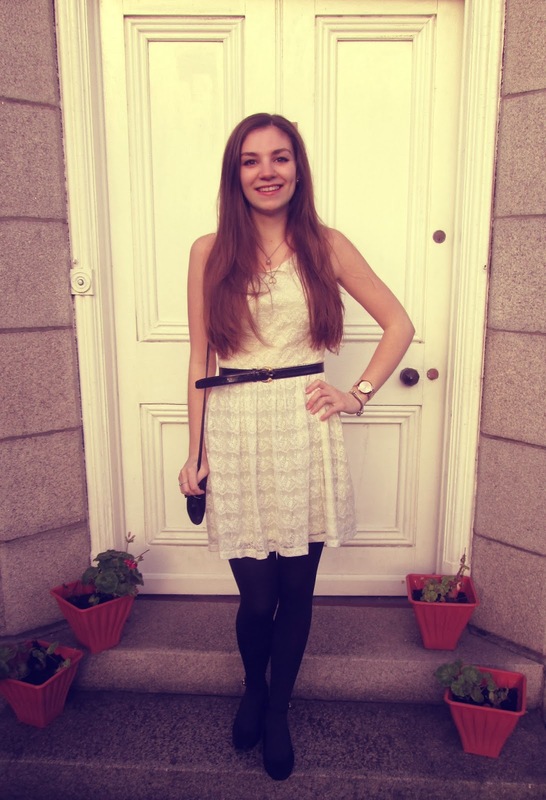 I loved your blog and you look so cute with this outfit :) I'm your new follower!! Such an amazing feminine look, that white dress is perfect!! very pretty , love the dress ! 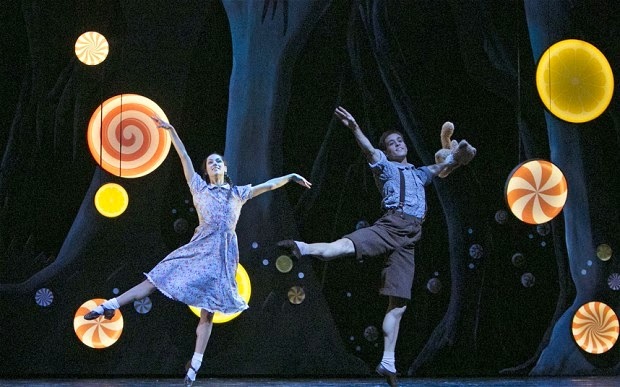 Wonderful Ballet ,love the Pictures! Gorgeous Dress! Your outfit is gorgeous & I hope you had fun! beautiful neklaces :) cute look! That show looks amazing and your outfit was perfect for the occasion! The dress look amazing on you! :)...i hope you be ok! Gorgeous dress! I love your wee necklace with the pearl too and the ballet looked fab! Your dress is so pretty! I love it. And the show looks amazing. How's the new year treating you? If you're like many of us and have resolved to spend a little less this year, we'd love to tell you about Dorco. We're a shaving company providing quality razors for up to 70% less than leading brands. Chances are you're paying way too much for razors. Plus, by switching to Dorco you can finally afford to change your blades often, which will result in happier, healthier skin (something else I think we all want in 2014!) You don't have to sacrifice quality to save so much, though. Read what others think about our products at DorcoUSA.com, and check out our prices for yourself while you're there. Thanks for hearing us out, and we wish you all the best in 2014! awesome photos! your outfit is great! very event appropriate. The play looks amazing!!! i wish to see it also!! I haven't been to the ballet for ages! 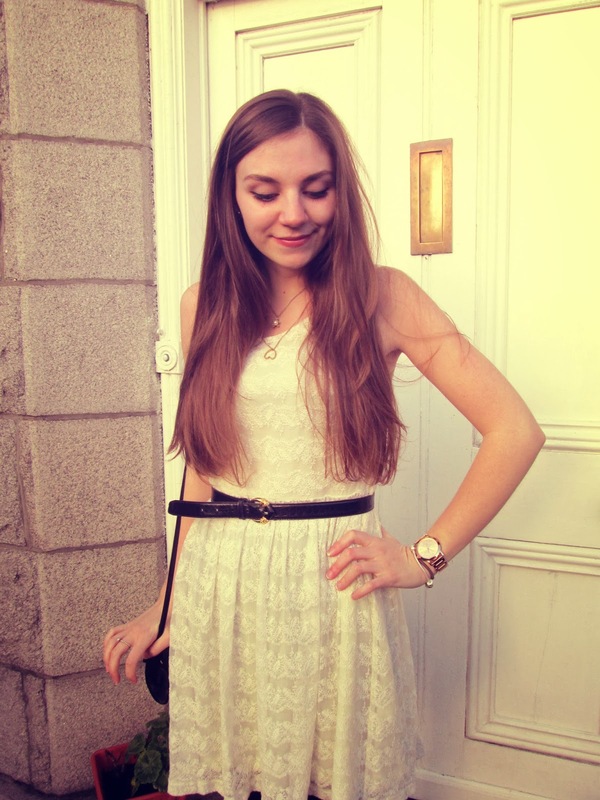 Love that necklace - I find a skinny belt hard to pull off, but this post is inspiring me to go for it again! Love this look! I'm actually a training ballet dancer! You're so lucky to be so close to so many great companies. Such a pretty dress and great accessories. I love it all! P.S. Thank you for your comment on my blog. I'm also following you on GFC. Nice to meet you! The dress is pretty! You do really look great! I love this dress you're wearing! And the ballet looked so good from the pictures! My god, you are so beautiful! Would you like to follow each other? Just let me know on my blog so i can follow you back. Thanks for following! Followed you back on GFC and Bloglovin! Precious dress your look is so cute, have agreat weekend! 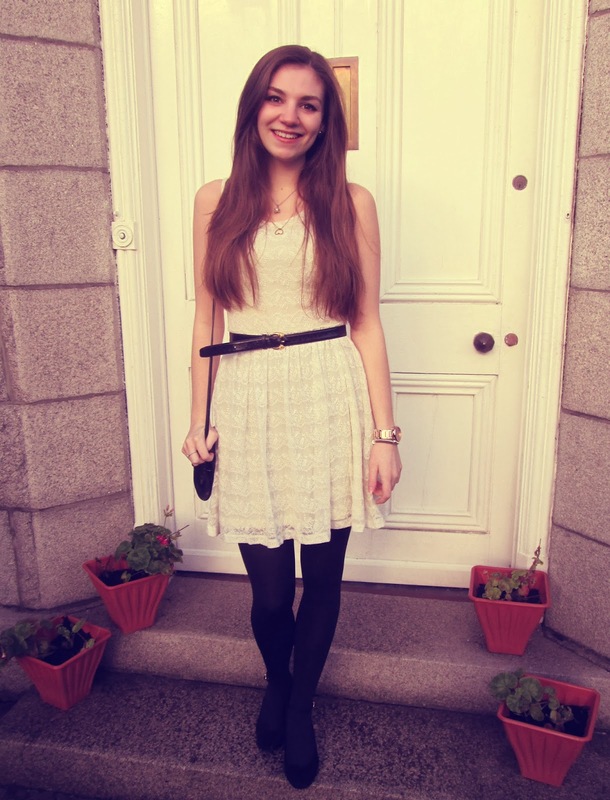 Love your dress. So pretty!! 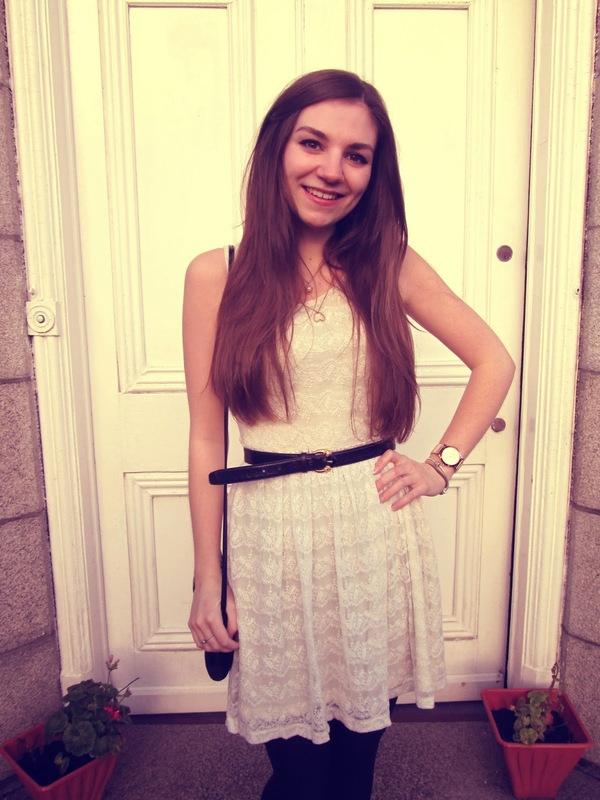 Beautiful Dress Helen! Very feminine! Would you like to be friends and follow each others? Let me know! Nice dress and looks like such a great show !! Freakin adorable, eve though I hate H&M. Sounds truly magical! And I love that lace dress! So pretty. Omg you look amazing and you're so pretty. I just came across your blog and definitely following. Your style is so chic and girly, I need it/love it. such a cute ladylike look! So pretty! Love the lace dress and the delicate accessories. Would you like to follow each other on FB, Bloglovin and Google+? Let me know! I like your dress......simply and elegant at same time. Oh my goodness - what a cute look! It is so adorable. I love your style - I would totally wear tons of the outfits you have posted! Thanks for sharing. We never did Hansel and Gretel, I think. So the ballet must be super interesting! Hope I have seen it too! The play is looking amazing! I offer you to try to win an article of your choice from a selection I made by myself, in collaboration with an online clothes wholesaler. You don't have to pay anything to join this giveaway, so don't hesitate, and come take a look ! Hello, thank you for your lovely comment on my blog and thank you very much for following! And this show should be really good! I dream of going to see a ballet. Firstly, your dress is gorgeous! Secondly, I really love going to the theater and I have seen some of my favourite shows at my local theater. A lot of the ones I have seen were amateur productions and I haven't found that made my enjoyment of them any less, they put so much time and effort into them it really shows on the stage. Lovely, dear!! The dress is so so cute!!! Great outfit! you look pretty and wear that dress well. what an awesome theater production! You are so lucky to get to see it! Love your lace dress looks so fantastic with black! You look nice in that White dress!!! I love ballet. 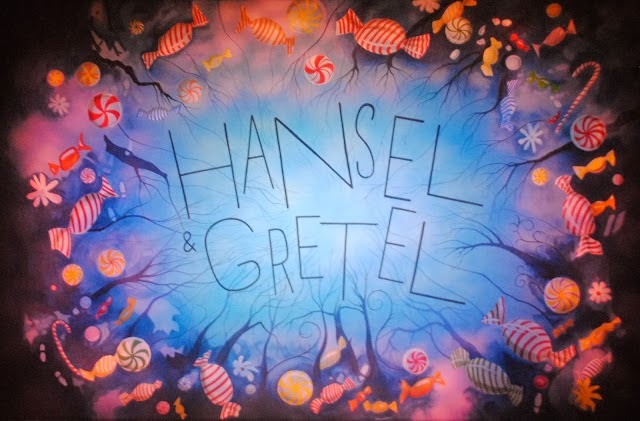 Hansel and Gretal looks like a fun one to watch! anw, i already followed you. would you mind to follback and keep in touch? I love the heart necklace! Your lace dress is so pretty! The show looks like it was amazing. I've never been to see ballet, but it's something I'd love to do! Lovely outfit! I really like you pear necklace. I have only been to a play 3-4 times but I have never really had what I would call an amazing experience..they have been just ok but still quite entertaining..the experience is so much more different than watching a movie. I guess when you get to watch a really great play the experience must be so vivid and wonderful with the dancing, clothing, music.... By the way thank you for following me, im following you back..i loved your style .. i was looking at your previous posts :3! Such a chic look, doll! Love this dress belted. Glad you had a good time! Pretty look. Lovely dress!! I like your blog, what about following each other? So beautiful! Perfect outfit for the ballet. 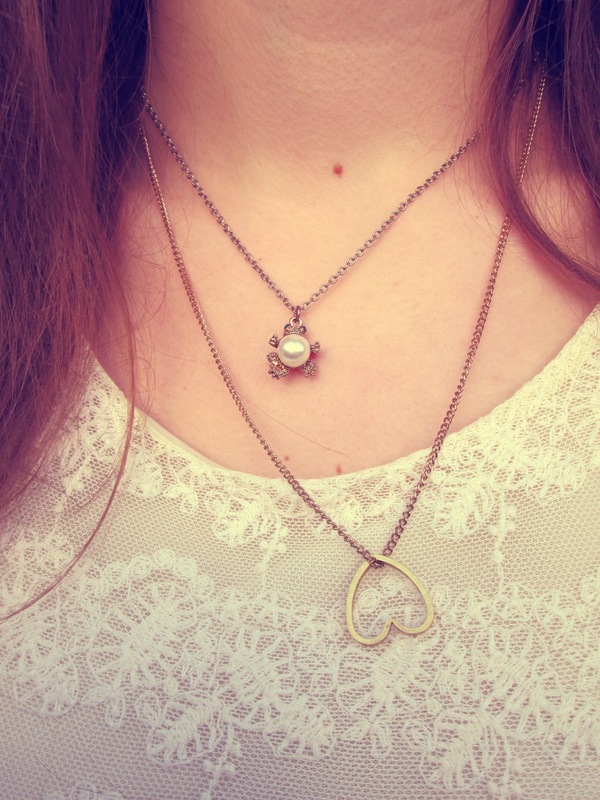 soooo pretty <3 I loved your necklaces too! The show looks indeed magical! I absolutely love the outfit you were wearing, simple yet so elegant and chic! That dress is gorgeous and I love how versatile it is.x So pretty! Thank you so much for stopping by my blog and for your lovely comment! Just followed you back via GFC and also followed you via Bloglovin.x Have a lovely weekend dear! You look lovely! The dress, necklaces and the whole outfit is well thought out without being over the top. I really like the pearl necklace. The ballet sounds great. I've never been before. What a lovely dress. You look very chic! I love this outfit. It's so simple, yet so beautiful. And the dress looks amazing.